Discussion in 'Golf News' started by Dogfish Head, Dec 1, 2018. 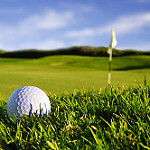 THE GOLF BALL IS THAT ONE INDISPENSABLE piece of equipment needed to play this joyous and maddening game. Through the centuries this small ball has undergone dramatic changes in size, construction and performance. And the golf ball has likely generated more talk and emotional outbursts while airborne or rolling than any other ball in any other sport. Today, for golfers of all abilities, the golf ball is game-improvement equipment. That's right, the golf ball can actually make you better. There are golf balls that can fit your swing speed and match your skill level, helping you minimize your weaknesses and maximize your potential. Modern golf balls, measuring 1.68 inches in diameter and weighing 1.62 ounces, can be broken into two basic groups. The first group are golf balls that produce less spin and go farther and straighter for the less-skilled golfer. The second group are golf balls that spin more for greater control, geared for the more-skilled golfer. Distance-oriented golf balls typically have a firmer feel. Spin-oriented golf balls usually have a softer feel. There are also differences in trajectory. Some balls fly higher. Some lower. Due to ongoing advancements, there are now many performance variations in golf balls, no matter how they're grouped or categorized. This is great news for anyone who plays golf. I'd prefer the ones that get into the hole in fewer strokes............still searching.